« Last butterfly of the season? 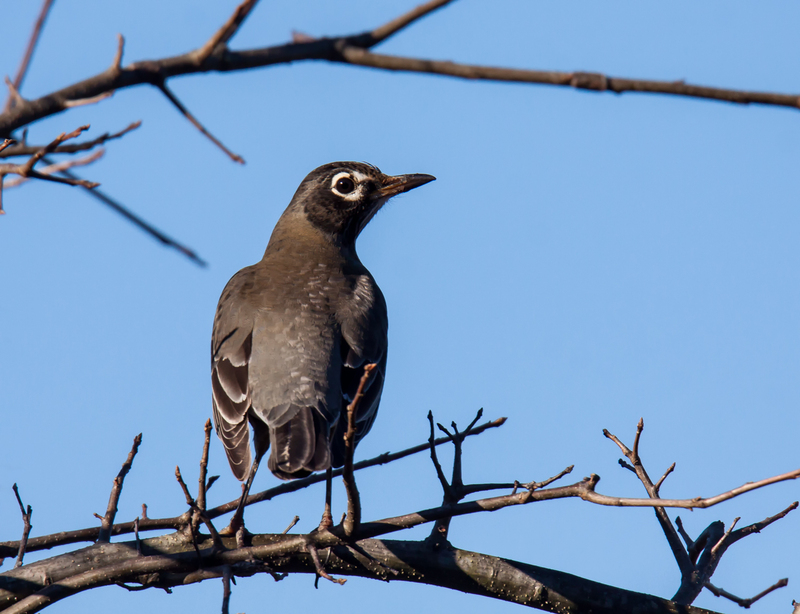 Recently I have been seeing flocks of American Robins (Turdus migratorius) throughout Occoquan Bay National Wildlife Refuge. 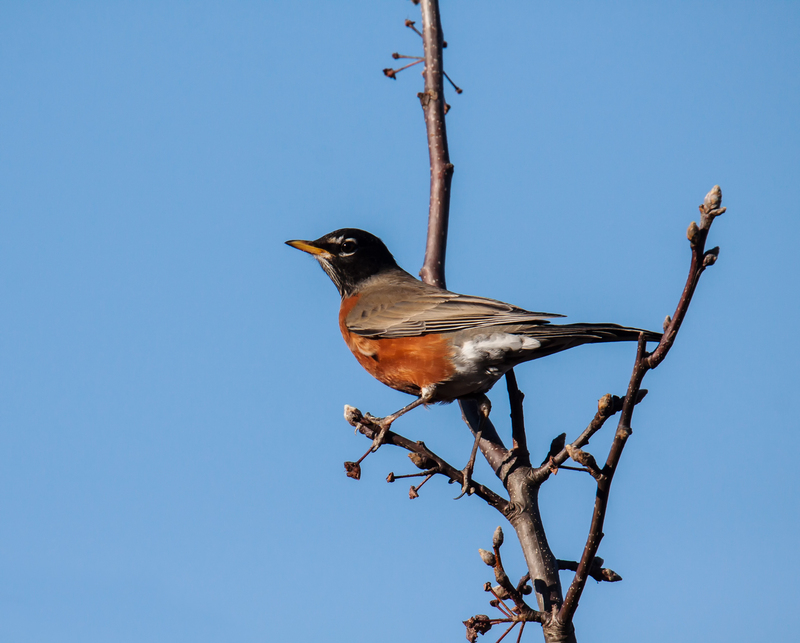 Growing up, I used to think of the appearance of robins primarily as a harbinger of spring. Where I live now, however, I see robins during most of the year. Earlier this week during a period of the morning when the light was exceptionally beautiful I was searching desperately for a subject to photograph when I spotted this handsome robin in a bare tree. The branches of the tree were fascinating in their shapes and they became an important compositional element in the three images that I included in this posting. We have robins year ’round here now too. Quite different than when I was a boy. Two of these birds have large white eye rings. I don’t think I’ve ever seen them so big. 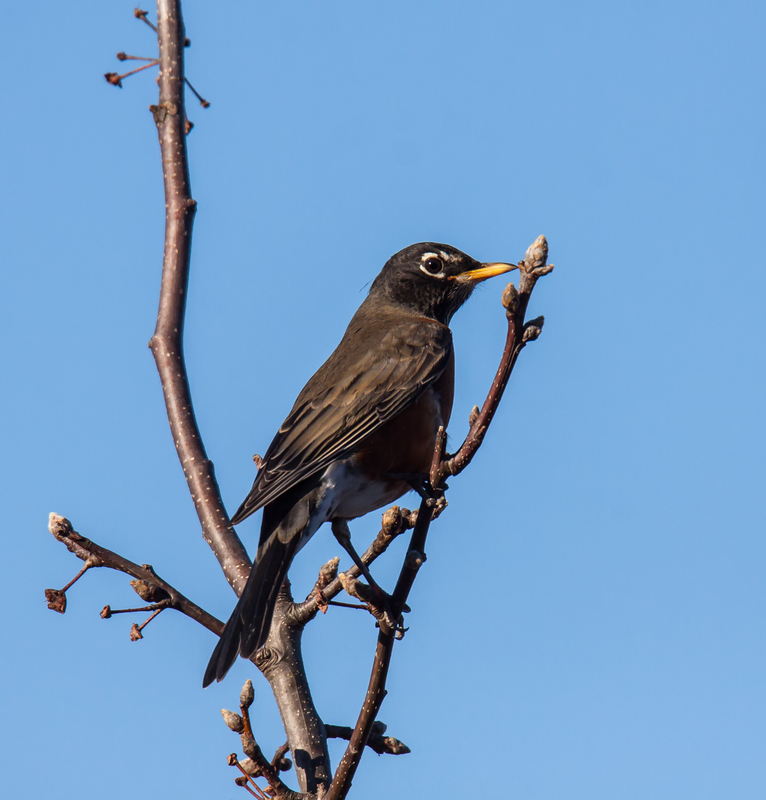 Very nice Robin with the branches and blue sky, Mike! Nothing wrong with sharing the love with the common ones, Mike! It can be easy to overlook them in our day to day travels. on November 25, 2018 at 4:24 pm | Reply Molly D.
Love the clear shot of its eye!